We were delighted to host our very first Association event aimed at bringing together the Association community to discuss the unique communication goals and challenges they face, and solutions for getting those vital messages and stories heard and understood. So often we’re asked by a team at an association what their counterparts might be doing in a different industry - we thought the least we could do would be to invite them all to breakfast and share some knowledge and ideas! 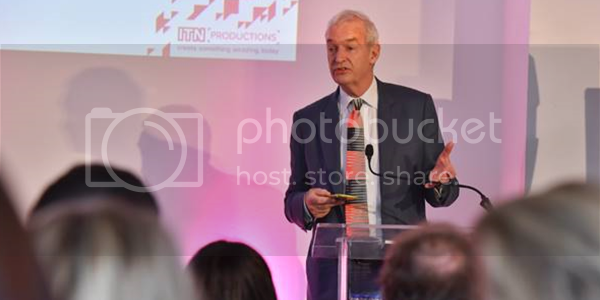 Legendary Channel 4 News anchor Jon Snow kindly introduced the event talking about a ‘golden age of communication’, and the opportunity this presents us all with to reach new audiences with our messages, explaining the transformative digital changes at Channel 4 News. Our first panel contained some leading thinkers in the association landscape in the shape of Mo Baines Head of Communications and Coordination (Association of Public Service Excellence), Richard O’Brien Communication Manager (Institute of the Motor Industry), Duncan Stephenson Director of External Affairs (Royal Society for Public Health), and Jonathan Roberts Communications Director (UK Chamber of Shipping). From them we learnt about the considerations of trying to please stakeholders of an associations all of the time and how we represent diverse members. We also heard about communicating relevance in terms of how the association is performing and representing its members, and in turn creating influence and earning the right to be heard. This can be achieved by considering the wider context of an issue an association is discussing and garnering attention by relating that to the benefit of society and the country. Ultimately the aim might be to end up at the ‘top of the box’ in reference to a Ministers’ box of documents to read, but the subject matter can’t always be prioritised based on what will succeed as an issue or campaign. Panel one - left to right: Duncan Stephenson Director of External Affairs (Royal Society for Public Health), Jonathan Roberts Communications Director (UK Chamber of Shipping), Richard O’Brien Communication Manager (Institute of the Motor Industry) and Mo Baines Head of Communications and Coordination (Association of Public Service Excellence). As well as reacting to events, we heard that ‘slow news’ is a fundamental outlet as a means of telling the full story of a matter or campaign; getting into the details and being able to substantiate what you’re saying. Whether it’s grabbing attention, creating an influence or exploring a theme in more detail, video was discussed as a vital tool. We also heard about what keeps an Association Head of Communications up at night, including the dreaded ‘Digital Tumbleweed’. 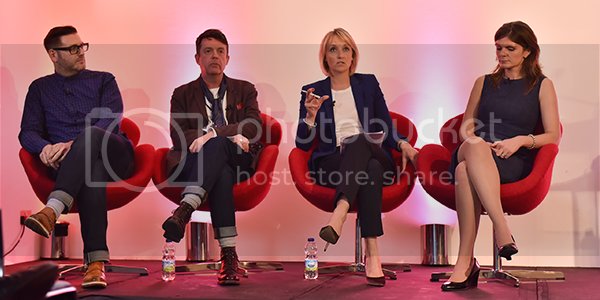 Our second panel experts came in the guise of Louisa Preston (BBC, ITN Reporter and Presenter), Adam Barnett (Director of Client Services ITN Productions), Grant Fulton (Experienced freelance Writer/Director) and Lynsey Sweales (Chief Executive, SocialB). They told us we must get to know our audience if we are to communicate to them in a way that they want to communicated to. ‘Thinking like a broadcaster’ is always a useful tool. 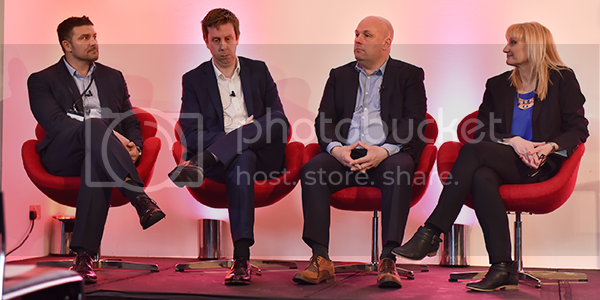 The BBC, ITV, and SKY all know their audiences intimately, they consider the characters and the story, and always go for quality of production – why shouldn’t Associations think in the same way, after all many are becoming broadcasters themselves! Panel two - left to right: Adam Barnett (Director of Client Services ITN Productions), Grant Fulton (Experienced freelance Writer/Director), Louisa Preston (BBC, ITN Reporter and Presenter) and Lynsey Sweales (Chief Executive, SocialB). In the newsrooms we’re told to ‘think in pictures’ all the time and think mobile first. That gave us a clue as to how to react to events, but having a video partner and strategy with clear guidelines in place is certainly the advice to put you in a position to make controlled and impactful video content in response to a happening. We were left with the notion of being bold, brave and not giving way to ‘brand anxiety’. This was strangely coupled with the belief that highly effective, high quality video doesn’t have to be expensive. When we watched the Cancer Research example suggested by Adam Barnett, we all realised that being authentic, telling a genuine story, and doing it with genuine people can often tick all of those boxes above. 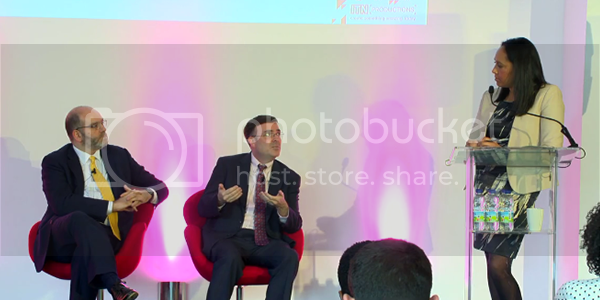 We heard about Associations operating in other parts of the globe in our third panel with Greg Melia, (Vice President of Program Development – Industry News USA) and Damian Hutt (Executive Director, Association of Association Executives). Across the pond the American Society of Association Executives have developed a project called the ‘Power of A’ to celebrate the work associations do for society. We were asked to film their latest get together in Washington DC, and it struck me how much in our lives is touched by associations. The discussion of professionalism in Associations was also lively, with the feeling that skilled communications professionals are finding an association life and career extremely fulfilling and exciting. Panel three - left to right: Damian Hutt (Executive Director, Association of Association Executives) and Greg Melia, (Vice President of Program Development – Industry News USA). We invited existing partners, some we’ve worked with for many years, but also associations we’ve not yet met with, to understand more about the landscape of organisations that have a deep impact on our country yet are sometimes seen as unsung heroes or best kept secrets. Given how much associations do to benefit society, and support people throughout a vast array of professions and sectors it seems as though they should be higher in our consciousness, and it struck us that the communications function might be the key. More to come soon on what we learnt and the next get together…….